Broncoedwig01970 890233work Self-cateringEnjoy a stay in Devils Bridge in our two bedroomed bunglaow. 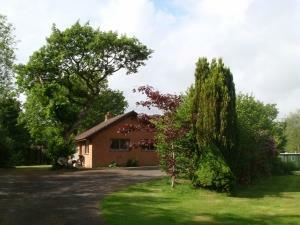 The property is situated on the Woodlands Caravan Park and guest can use all of the park facilities. Enjoy a stay in Devils Bridge in our two bedroomed bunglaow. The property is situated on the Woodlands Caravan Park and guest can use all of the park facilities. Prices shown are for the use of two bedrooms. If you only require the double room please let us know and we can offer a £35 discount. Sleeps up to five guests. Children welcome from any age. From Aberystwyth take the A4120 to Devils Bridge.